I hope you will never need this block. Such a communication is not fine and Sender must change his API. But all of us know the sentence: On 7.1 it works but now on AEX not …. 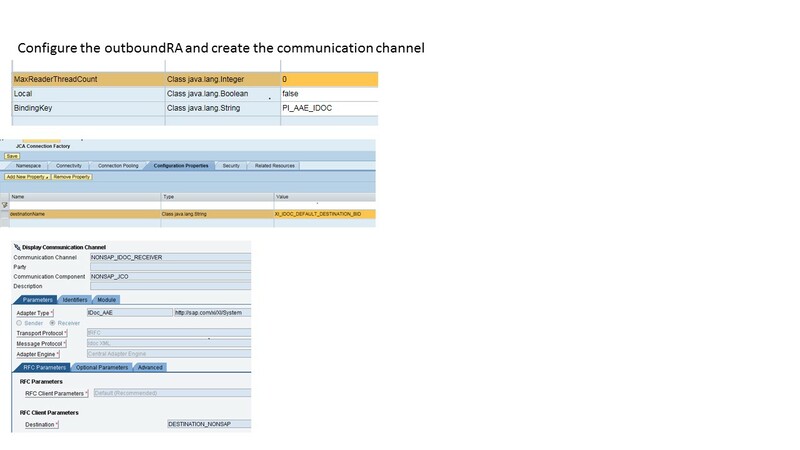 Below you see the screens how to handle JCO communication by using IDOC_AEE adapter with ThirdPartyJCO-Systems. A good pick to write about. 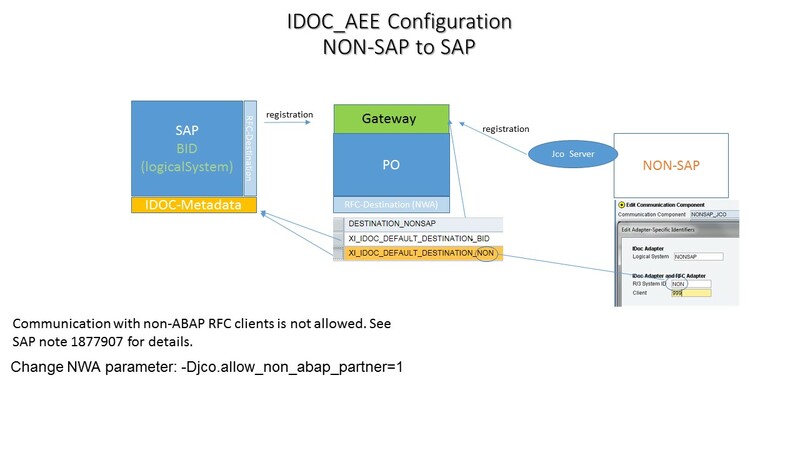 It is an interesting use case to connect with IDOC_AAE considering many other options available to connect a JCO system with AEX. Is there any open non-sap jco system with which we can test this? To play with JCO you have to download the library and then you can easily create your own application. There are good samples delivered in the download. But as I wrote, this kind of connection should not be used in future. All non-SAP systems can handle File, SOAP, … so this will be the future. This Jco solution is only the worst case if the Sender/Receiver system will not be able to communicate with File, SOAP … and only Jco. 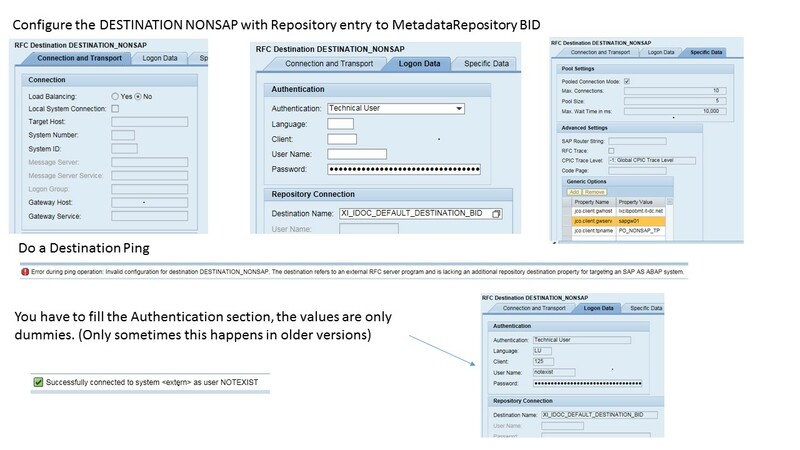 If the clients go to S4 it is important that we all learn to handle and understand the SAP SOA Enterprise Services. I am working on the similar requirement, sending the IDOCs to non-SAP system through PI. I am following your blog along with the below. I have created a RFC destination for non-SAP in PO system. While pinging the RFC, I am getting an error like “Program “XXXX” not registered. Can you please guide me how to register the program id in PO java stack? Do I need to create a JCo RFC provider with the program id name? 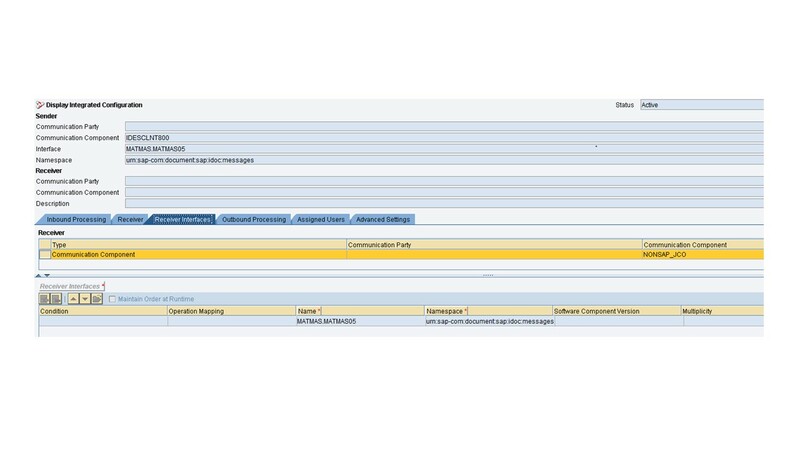 and also where do we have to maintain the non-SAP system details in PO to identify the non-SAP system? On your Jco server you have to fill parameter called: jco.server.progid and this must match with the value of NWA Destination parameter jco.client.tpname. Thank you for your help! 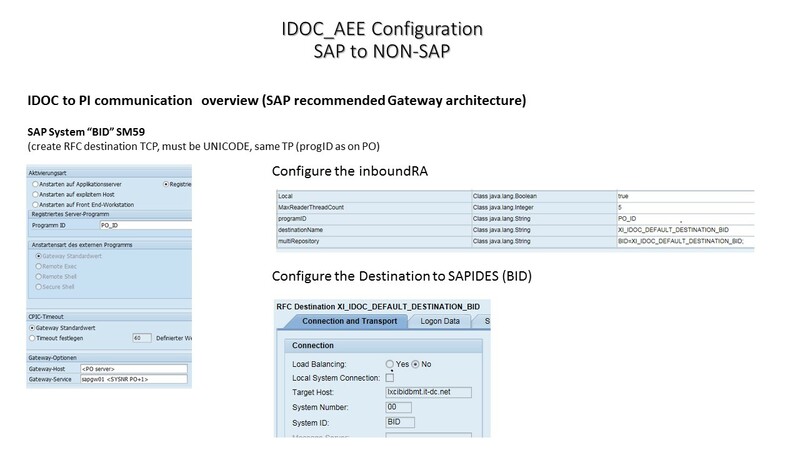 I was able to achieve the outbound interface(SAP to PO to Non SAP) as per your blog but I am bit confused in the inbound interface configuration. 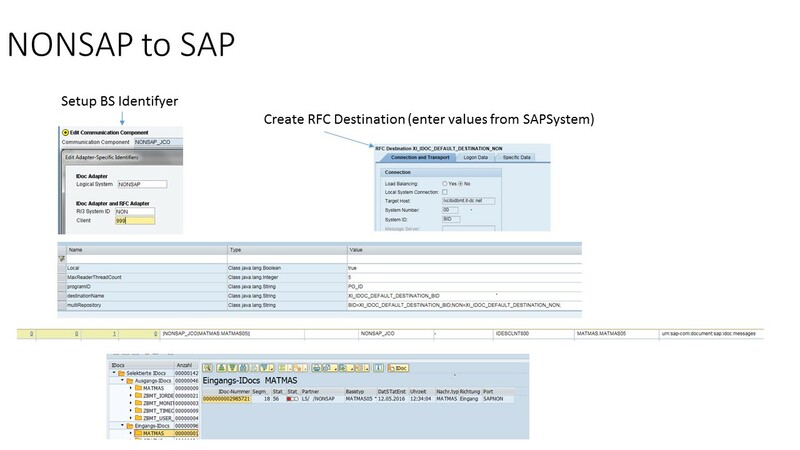 Can you please help on the steps need to be configured when Non SAP to PO to SAP? 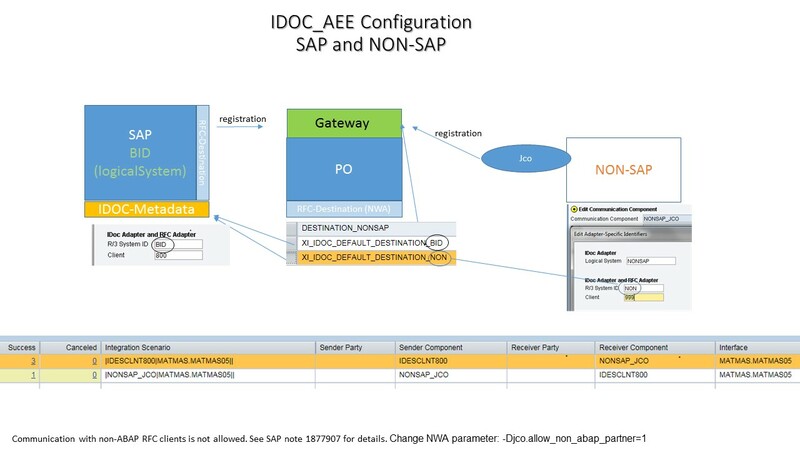 If I understand you correctly you want to send an IDOC from NON-SAP to PO system. You need a BusinessComponent on PO side. For this BC you have to use a “SID” in the adapter specific identifyer. in my last screen you see it named NON. PO is using inboundRA for the identification of incoming traffic. So in the settings (multiRepository) of inboundRA you will now see the NON=XI_DEFAULT_DESTINATION_NON or you have to maintain this. Also create a DESTINATION of type RFC called XI_DEFAULT_DESTINATION_NON this destination should point to an ERP system for metadata check. use the SAP receiver system in this Destination. Sorry for late response I do not check sdn all the time.